Bread studio designed a subterranean science museum in Kaunas, one of UNESCO’s global creative cities. 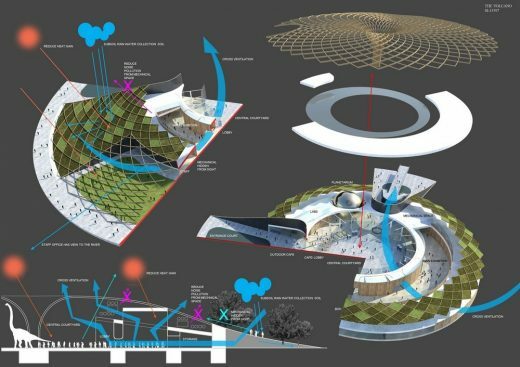 The design causes minimal disruption to the beautiful landscape of the Science Island and reduces the energy consumption up to 50% by burying most of functions under a mount. The entry was ranked 18th out of the 144 entries in the phase 1 of the international competition. The proposed building was placed at the opposite end of the stadium. This forms another anchor point to attract people to see around the island. This also allows further development between the two anchor facilities. The proposed building submerges under a landscape hill. This protects the visual zone of the riversides. The proposed building is at the intersection of the existing bridge and the new proposed bridge. This makes the center a connection hub between the two riversides. 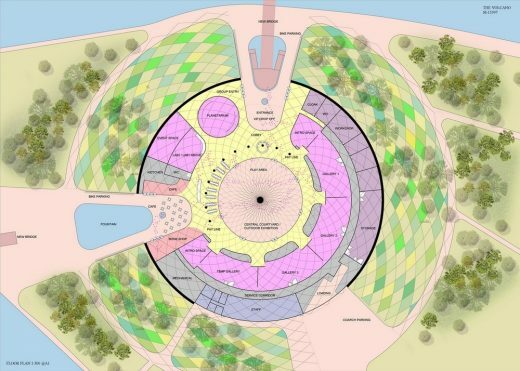 The proposed building is in a circular form with few concentric layers of space. The center is an outdoor courtyard. This courtyard is semi shaded. This space is for public activities, playground and also houses extended outdoor exhibition. It is connected through the two entrances which each has a front yard for further outdoor activities. The ring around the courtyard is the lobby space. 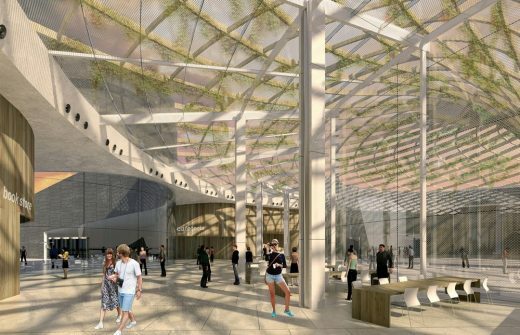 This space wrap around all the functional space such as main exhibition, labs and planetary, and ancillary function such as café and bookshop. The next ring is the Back of House space which connects to storage, workshop and loading bay. 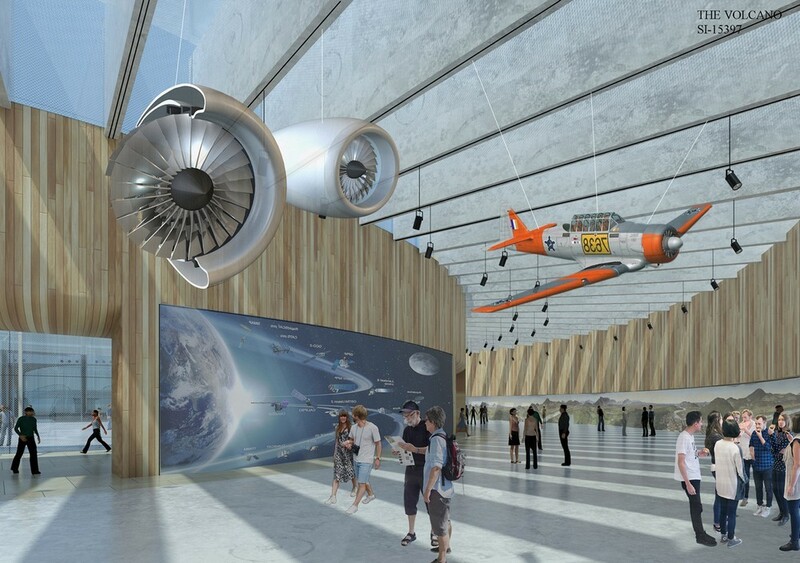 The planning of the building is flexible for various types of exhibition. The 3 main exhibition and the temporary exhibition halls can be connected when required. The exhibition can be extended into the lobby ring and also further into central courtyard. The entire length of the exhibition hall is connected to BOH service corridor. 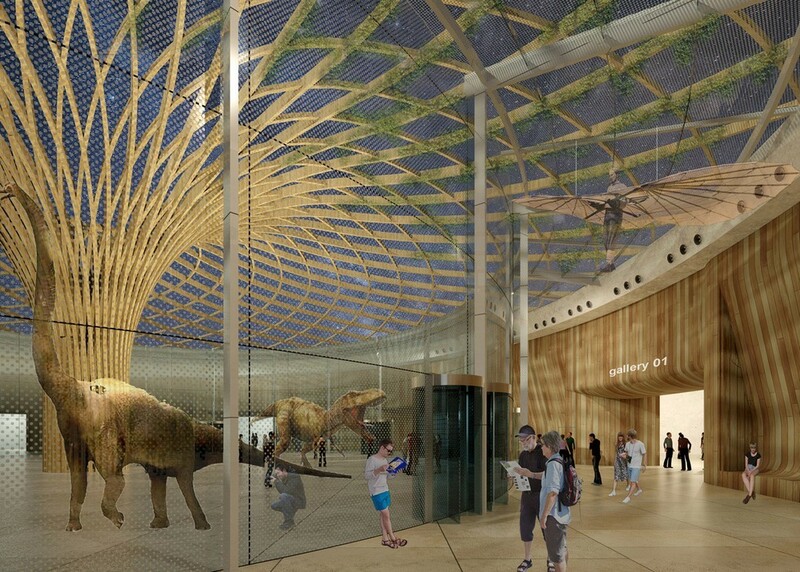 Big exhibits can be directly pushed into hall from the storage or workshops through the back corridor. The landscape hill forms a thermal buffer for the building. This reduces the overall energy consumption. The landscape hill collects rainwater and use for irrigation. The building submerges under the landscape hill. This reduces light pollution from the activities. The plant space is located under landscape hill. This reduces the noise pollution. 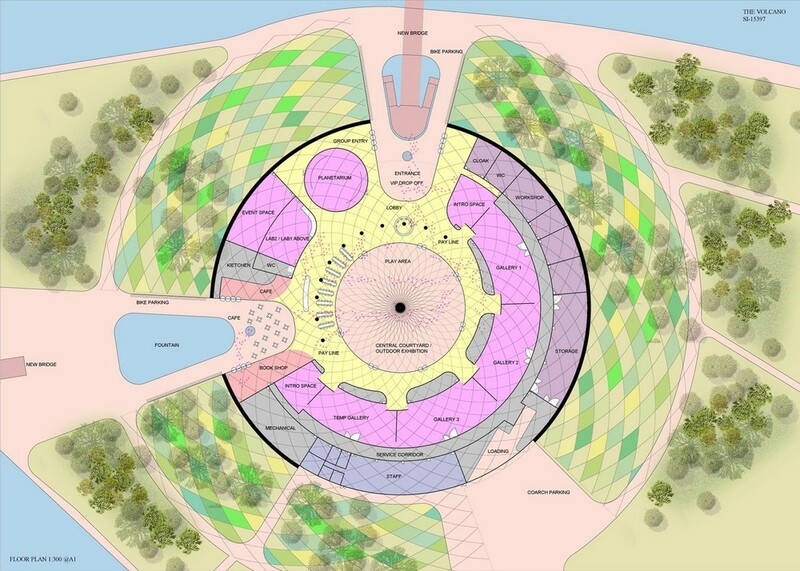 The circular configuration of the building is flexible for activities and highly adaptable for future expansion. The proposed building blends in with the landscape of the island. With the landscape hill and the central courtyard, the building extends the public activities into the island. With no basement and majority on one single floor, the building saves cost on vertical circulation and building structure. 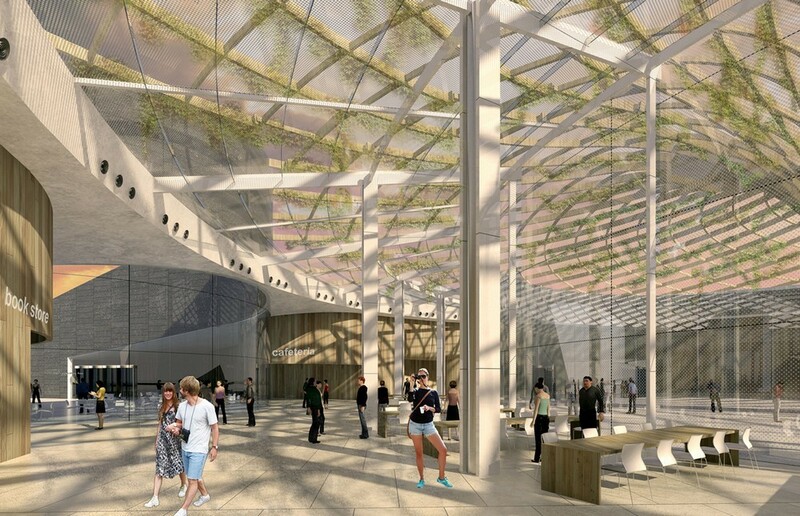 The proposal makes of local timber and natural stone. This contributes the reduction on carbon footprint of the construction.